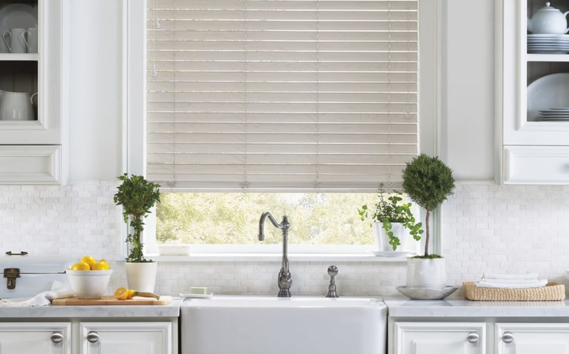 Jan's Custom Windows in Clio, MI offers a large selection of window treatments and coverings from leading brands like Hunter Douglas, Lafayette, Comfortex, Norman, and Graber. Whether you're looking for a certain style, color, or material, or don't know what style you want yet, our design consultants are here to ensure your satisfaction. 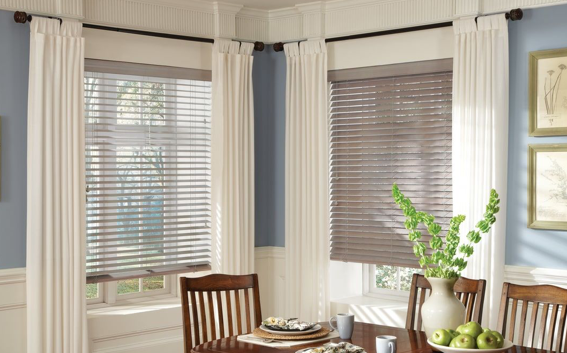 Start browsing our product categories below, then schedule an appointment to shop Venetian blinds, vertical blinds, Roman shades, cellular shades, roller shades, woven wood shades, plantation-style shutters, sheers, shadings, and more! We proudly serve the communities of Mid-Michigan, Genessee County, Oakland County, and the surrounding areas. View our comprehensive selection of vertical, Venetian, cellular, sheer, wood, and SkyLift blinds fit for all window types. 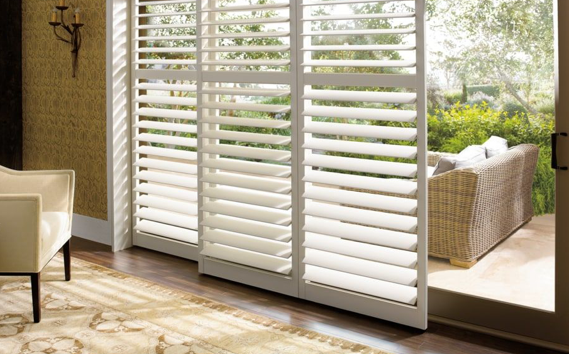 Browse our versatile selection of plantation-style shutter window treatments in wood, hybrid, and Polysatin materials for a classic look. Explore curtains and drapery, offered in a large selection of designer fabrics, for the finishing touch your windows need. 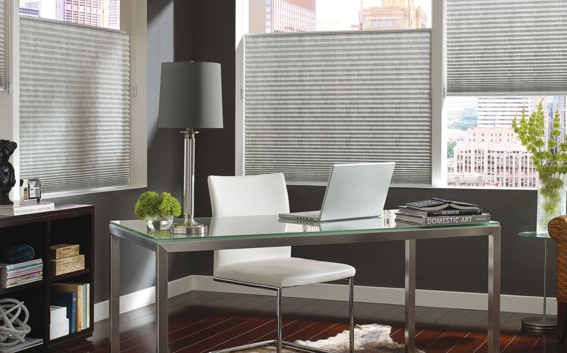 Find elegant roller, Roman, screen, pleated, honeycomb, and sheer shade window coverings in designs to compliment any home or office. Let us add the finishing touch with custom interior accents including cornices, valances, sheers, bed skirts, and pillows. Jan's Custom Windows is Certified in measuring, fitting, and installing all Hunter Douglas products ensuring proper fit and function.